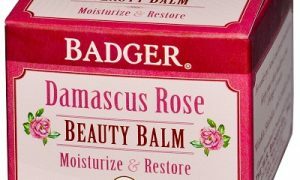 Still looking for a good cream for your tired hands? 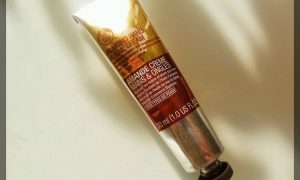 Let’s see if you found what you have been looking for in The Body Shop almond oil daily hand & nail cream review. ReviewsHerald.com: Very little attention goes in grooming our hands & nails. How about pampering your hands with the Almond oil daily hand & nail cream this season? Let’s get into the nitty gritties of this cream to see if it deserves a thumps up. 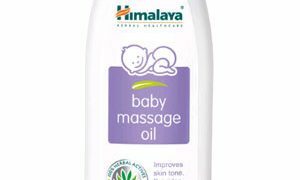 Aqua/Water/Eau (Solvent/Diluent), Glycerin (Humectant), Cetearyl Alcohol (Emulsifier), Prunus Amygdalus Dulcis Oil/Prunus Amygdalus Dulcis (Sweet Almond) Oil (Skin-Conditioning Agent), Butyrospermum Parkii/Butyrospermum Parkii (Shea Butter) (Skin-Conditioning Agent/Emollient), Ethylhexyl Palmitate (Skin Conditioning Agent), Myristyl Myristate (Emollient), Propylene Glycol (Humectant), Isopropyl Palmitate (Emollient), Glycine Soja Oil/Glycine Soja (Soybean) Oil (Emollient/Skin Conditioner), Ethylhexyl Stearate (Skin-Conditioning Agent – Emollient), Dimethicone (Skin Conditioning Agent), Benzyl Alcohol (Preservative), Glyceryl Stearate (Emulsifier), Mel/Honey/Miel (Natural Additive), Panthenol (Skin/Hair Conditioning Agent), PEG-100 Stearate (Surfactant), Phenoxyethanol (Preservative), Phenethyl Alcohol (Fragrance Ingredient), Bertholletia Excelsa Seed Oil (Emollient), Xanthan Gum (Viscosity Modifier), Parfum/Fragrance (Fragrance), Caprylyl Glycol (Skin Conditioning Agent), Dicetyl Phosphate (Emulsifier), Ceteth-10 Phosphate (Emulsifier), Acrylates/C10-30 Alkyl Acrylate Crosspolymer (Stabiliser/Viscosity Modifier), Tetrasodium Glutamate Diacetate (Chelating Agent), Hexyl Cinnamal (Fragrance Ingredient), Sodium Hydroxide (pH Adjuster), Linalool (Fragrance Ingredient), Squalane (Hair & Skin Conditioning Agent), Hydroxycitronellal (Fragrance Ingredient), Limonene (Fragrance Ingredient), Coumarin (Fragrance Ingredient), Citric Acid (pH Adjuster), CI 15985/Yellow 6 (Colour). Our hands go dry and rough with the daily chores at home and here’s where your hand deserves a daily hand cream. 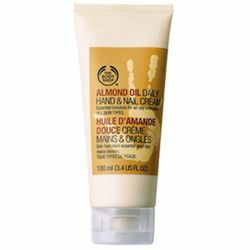 The almond oil daily hand & nail cream softens hands and keeps them protected. 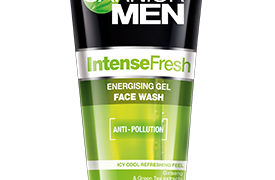 Its super moisturizing making your hands smooth & soft and makes unvarnished nails glossy and strong. 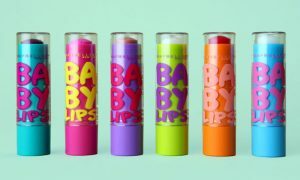 The consistency is not too thick and easy to apply hence non greasy. 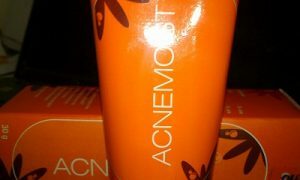 It is not tested on animals and cruelty free. 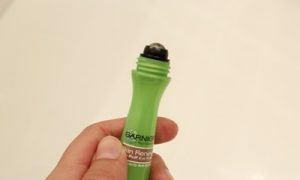 The packaging is in an occur color plastic tube with a flip cap. 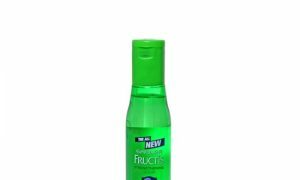 The price tag is around $ 7.9 for 100ml (3.4US FL OZ). Smell is not appealing to all because of the sweet scent, its a matter of personal choice. A little on the higher side and could be considered expensive for a tiny 100ml tube. 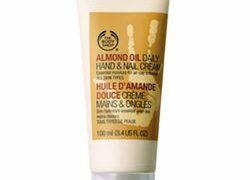 Get velvety hands and shiny nails with the body shop’s almond oil daily hand & nail cream. It’s no less than a manicure. Its time you treat your hands & nails!